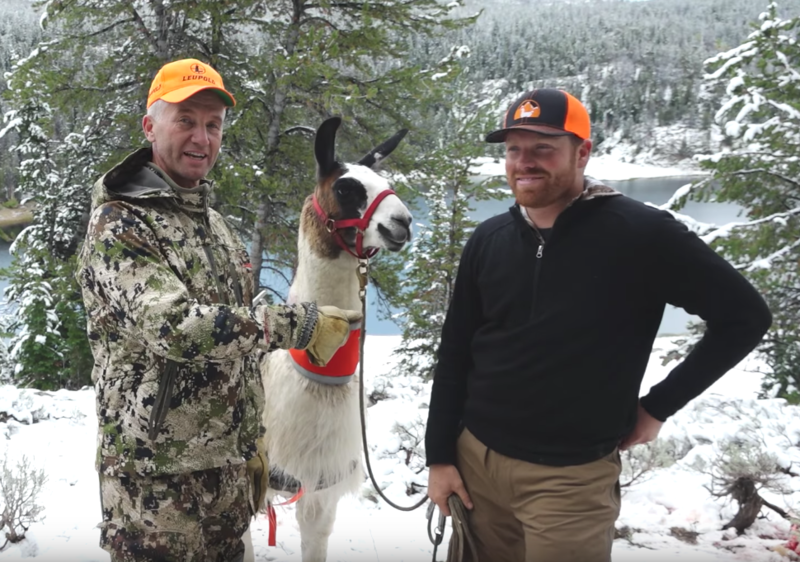 Randy Newberg shares his eye opening hunting experience with llamas from Wilderness Ridge Trail Llamas and how it's extended his hunting by another 15 years. 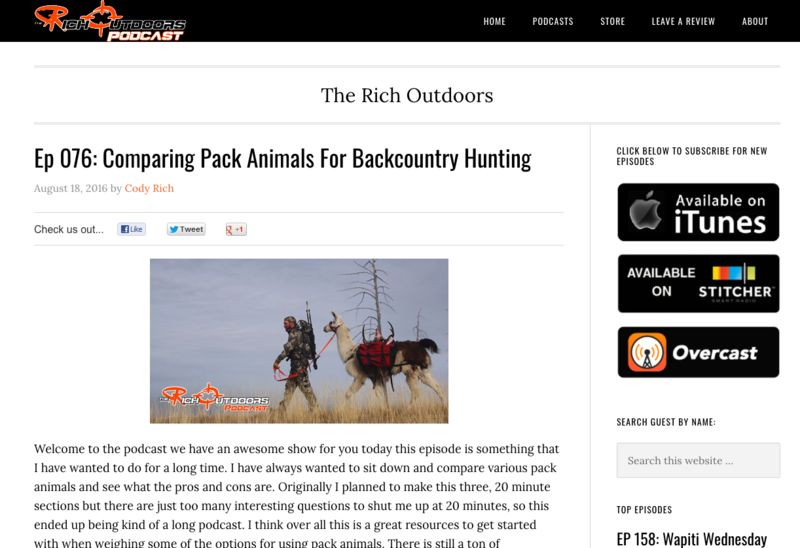 Rich Outdoors (starting at min 22:00) interviews Beau on his pack llamas. 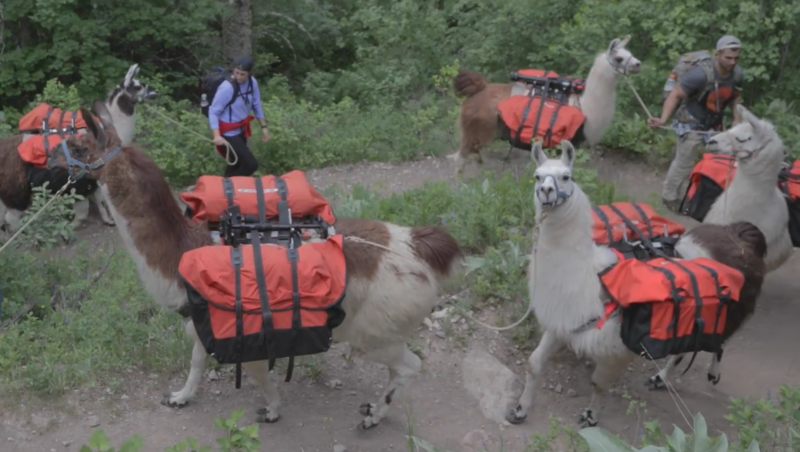 They discuss llama history, packing, personality, predators, and more. 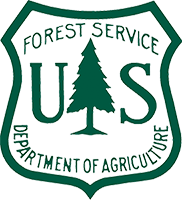 Listen to the full interview here. 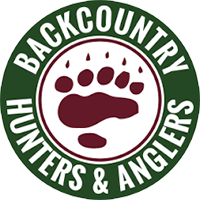 This video is an overview of the trip that was donated to BHA during the online auction for the 2016 Rendezvous. 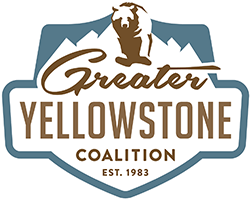 Thank you to everyone who supported BHA especially Austin Bockwinkel and your family for helping promote BHA and the public land preservation of our nation. 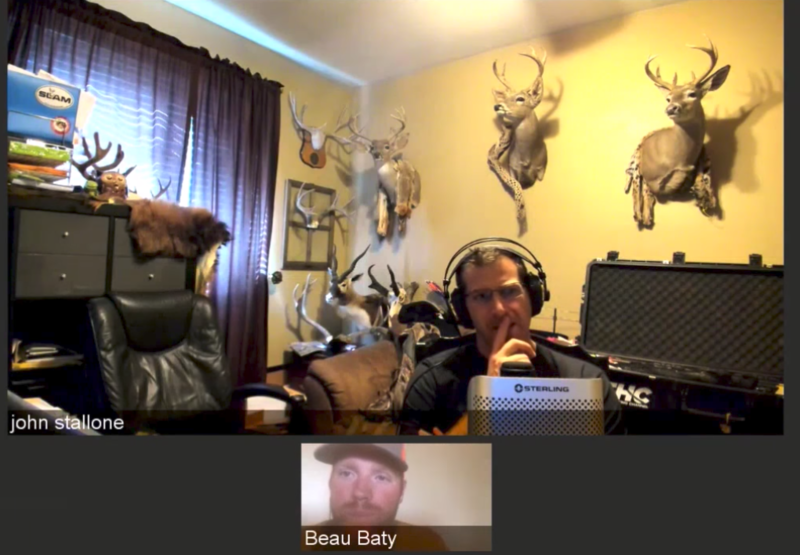 Ross Copperman interviews owner Beau Baty on the advantages and disadvantages of using llamas for hunting and outdoor hiking. 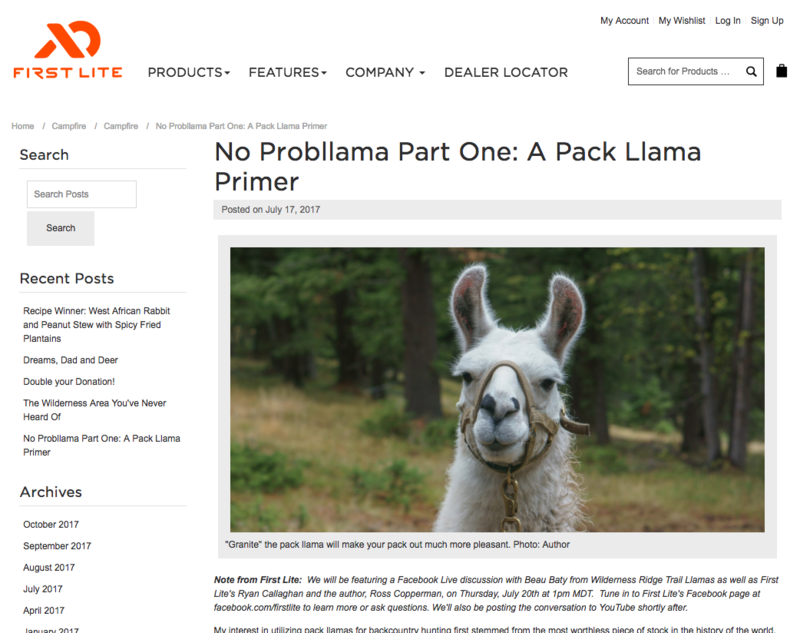 Select here to read the original article. 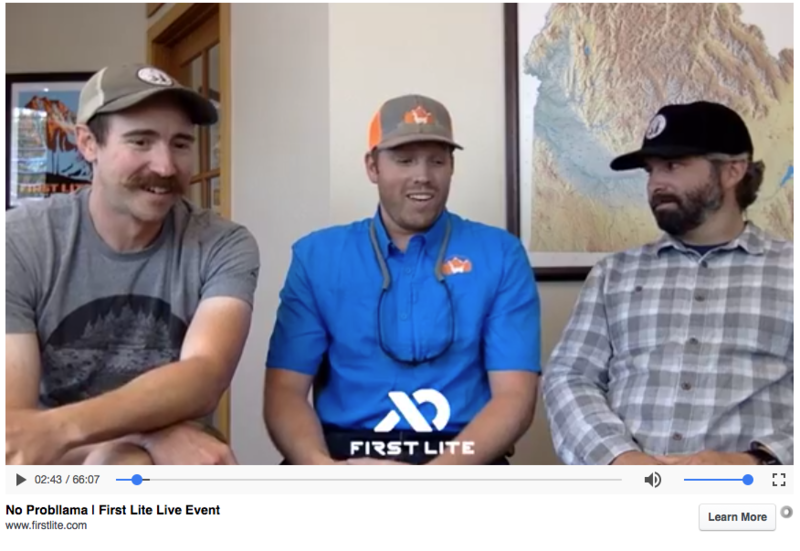 First Lite interviews Beau Baty on a Facebook Live steam. 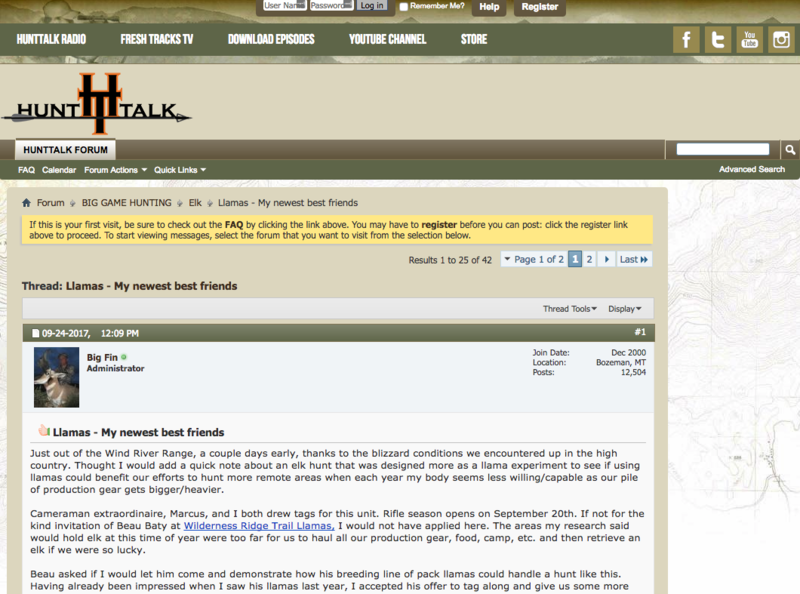 You can watch the recap here. 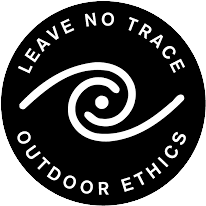 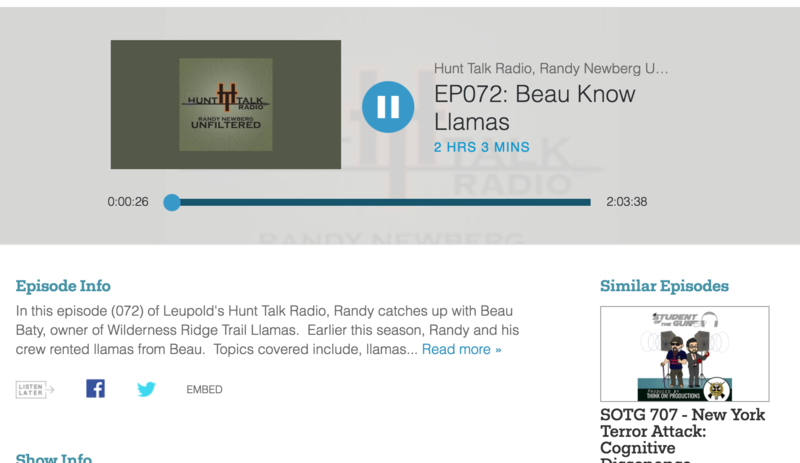 In this episode (072) of Leupold's Hunt Talk Radio, Randy catches up with Beau Baty, owner of Wilderness Ridge Trail Llamas. 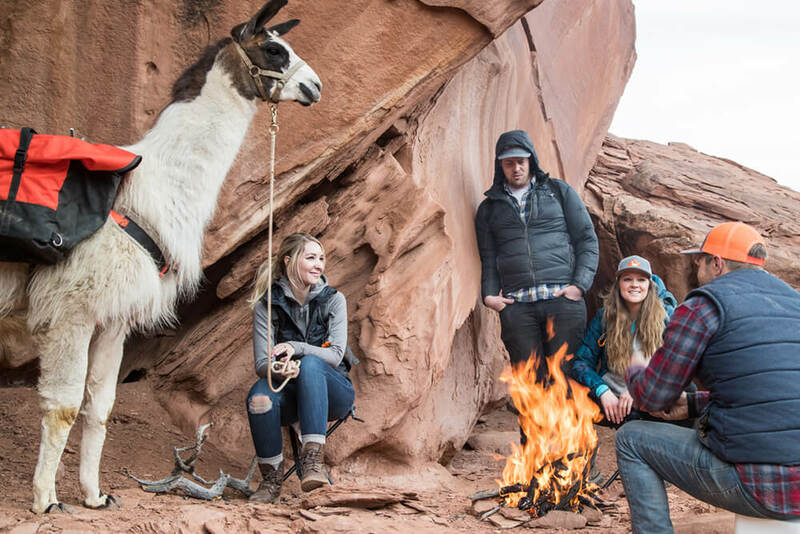 Earlier this season, Randy and his crew rented llamas from Beau. 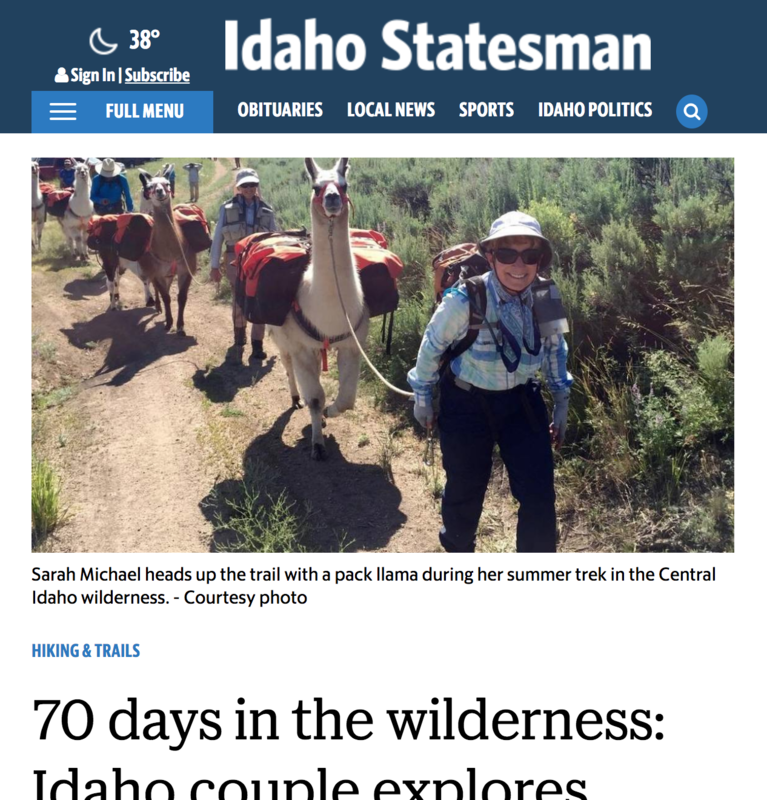 The Weekly Sun highlighted Bob Jonas and Sarah Michael who set out on a 500-miles trek. 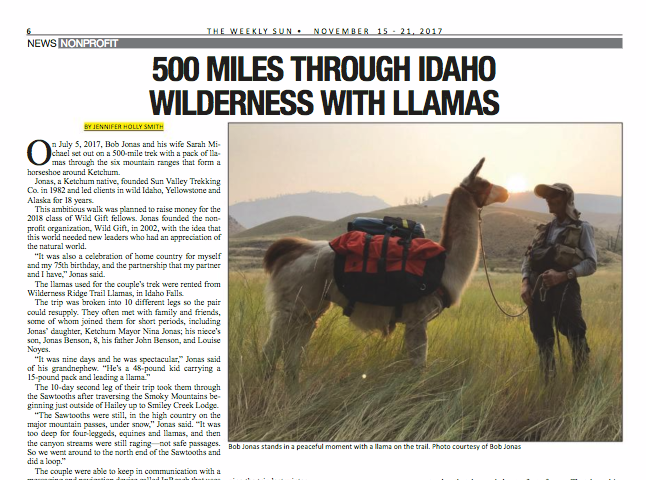 Read more about their adventure in beautiful Ketchum, Idaho. 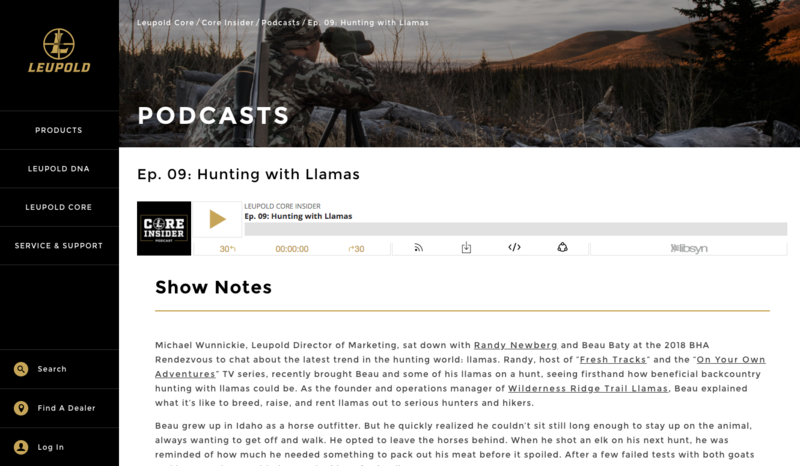 Michael Wunnickie, Leupold Director of Marketing, sat down with Randy Newberg and Beau Baty at the 2018 BHA Rendezvous to chat about the latest trend in the hunting world - llamas.